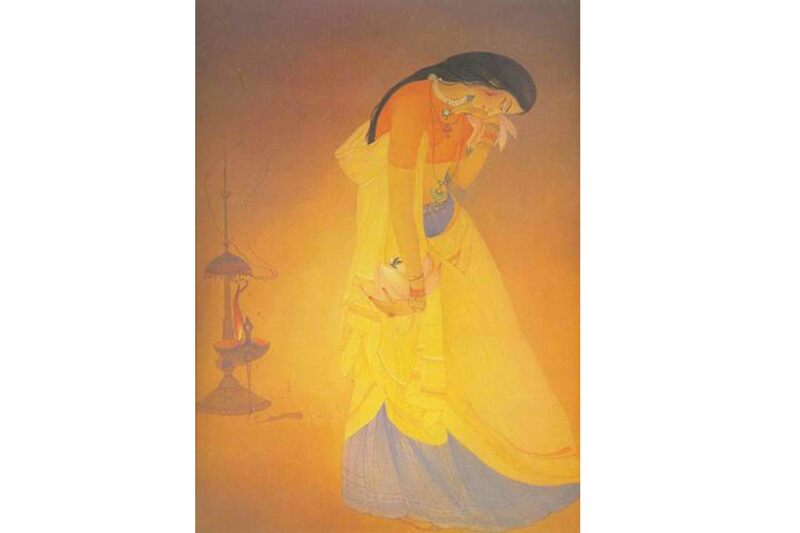 My first encounter with Abdur Rehman Chughtai’s art was in the early 80s’. I was in my primary level at school and had no clue about art and its whole wide world. My brother had one of those corporate diaries that carry art images as page dividers. Those flowing lines had captivated me so much that I ended up copying most of them in my school’s sketch book. My sister and I would go to our brother’s room, flip through the diary and with eyes full of awe, look at those characters, their settings and attires. The beautiful girl wearing jewellery (Mughal princess), the shackled lean old man (Mujahid), and the fringe headed narrow eyed face (Chinese girl) with all their elegance and fantasy were full of stories an 8 years old could weave. Born in the last decade of the 19th century, Chughtai is an esteemed South Asian artist who established a new trend with his practice. His birth place is Lahore which was considered a culturally booming centre since Mughal reign. The area later became a British colony and with the establishment of Mayo School of Arts (current day NCA) where he studied and worked as well, its local practices were institutionalised. Quitting government service was an apt decision as afterwards he lived a life which was not lived by many. The intensity of his desire revealed his destiny. Chughtai in his nascent years discovered the companies of, Rabindar Nath Tagore, Ustaad Sher Muhammad, Ustaad Husain Buksh and later was given the privilege of a long companionship with Allama Mohammad Iqbal and Dr Muhammad Deen Taseer (who proposed the idea of Muraqa), all strengthening his art and brightening his soul. In his piece of writing ‘Mera Funn Aur Shaer e Mashriq’ Chughtai attributed most of his understanding about art and sensitivity towards humanity to Iqbal sahib’s camaraderie. His letters and art criticism provide ample and firsthand evidence to know about his life work and views about art in general. In his written reflections upon local art and Islamic traditions, Chughtai points towards grave concerns, evincing many dire issues Islamic art specifically, Pakistani art was facing or could face. According to close friends, Chughtai owned a great treasure of eastern and western art specimens and books that must have been fuelling his imagination. 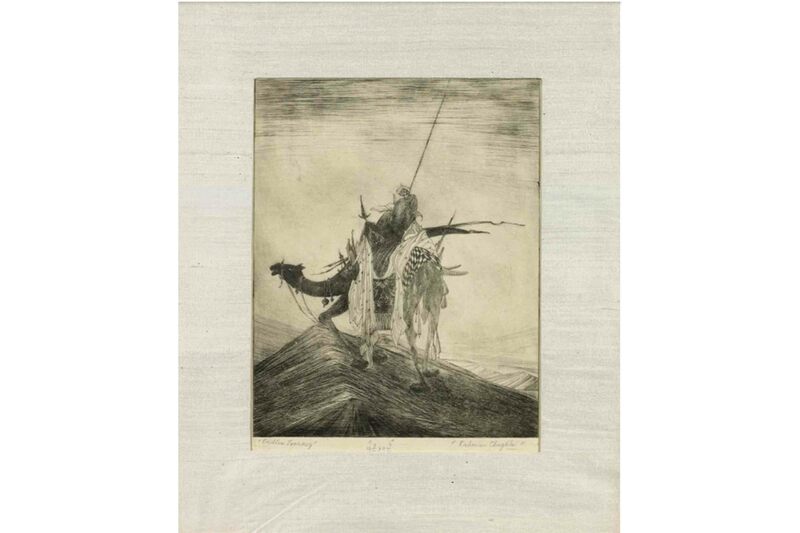 Mentioning Persian master Bihzad as one of his muses in a letter, Chughtai elaborates how the great master had helped him creating pictorial depiction for a lot of his work. Chughtai’s practice shows that he valued eastern and Islamic tradition. Madam Tamara Talbot while paying homage to his art appreciates his act of embracing those traditions which, Muslim artists forgot quickly. 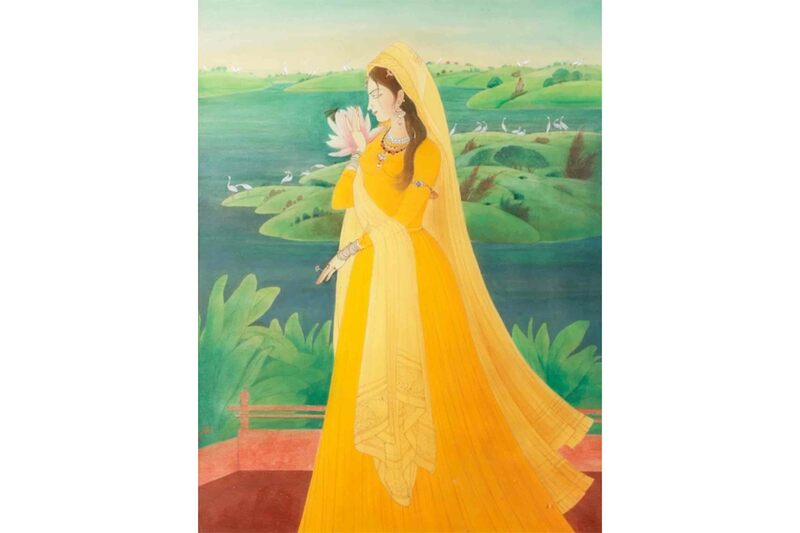 Eastern traditions in Chughtai’s art have fascinated his fans outside Asia. One would find a list of western writers who have explored various aspects of his art in their scholarly pursuits. His work is known to have an affinity with Iranian art, which isn’t a surprise as his lineage goes back to Tatari Mughals. He is the descendant of those artisans who have built emblems like the Taj Mahal and Pearl Mosque. Dr James Cousin claims, in fact, that Chughtai’s style with Iranian traces have blown a new spirit to Iranian painting. Chughtai is often been compared with Bihzad. However besides affinities there are differences too that give the former artist a different stature. The aura of Chughtai’s characters is tranquil in a way that is different from Bihzad’s. Moreover Islamic art till Bihzad’s time seemed to be restricted to historical accounts and hypothetical subject matter. Chughtai successfully changed that trend (Tamara Talbot). His acquaintances included the Tagore family who had access to Japanese prints and techniques. 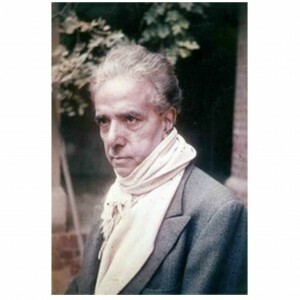 Chughtai did come under the influence of Japanese methods and improved his wash methods. Learning under the tutelage of eminent printmakers, to further his artistic ambitions of printing, he travelled frequently to London which was the hometown of famous illustrator Aubrey Beardsley, another possible influencer. He was great admirer of Shaer-e-Mashriq, Dr Allama Muhammad Iqbal, often second the poet’s thoughts and concerns in his own writings. Besides taking on Islamic traditions, Chughtai never ignored the western knowledge he gained. In fact, he found this satisfying balance of eastern and western traditions that became his trademark. He reflected that combination through all his work whether they were drawings, paintings or prints. Out of all his works, ‘Muraqa I’ Chughtai established him as an esteemed painter and won him a title of ‘Khan Bahadur’. 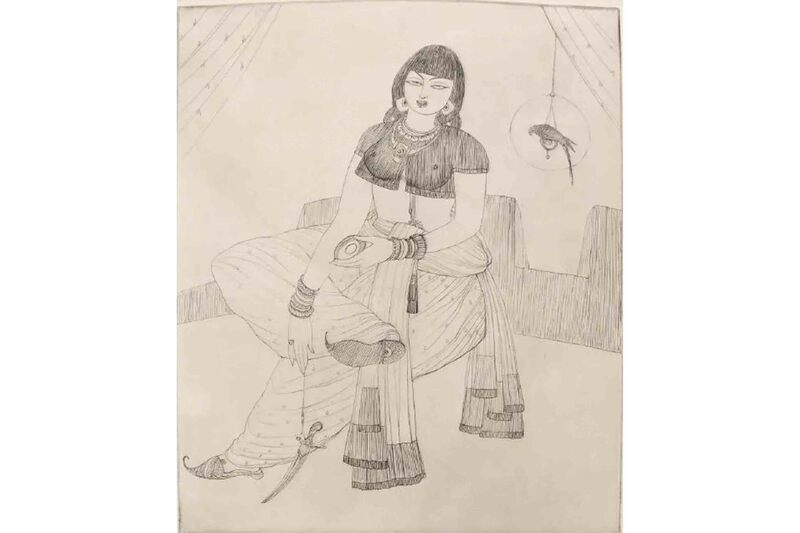 Close study of this work approves that besides colour, Chughtai had an affair with the line too. He was not a professional calligrapher but the swiftness of his line confirms him a draughtsman of highest order. In his Mayo schooling days, he was associated with lithography too, which probably had made him interested in trying printing besides painting. 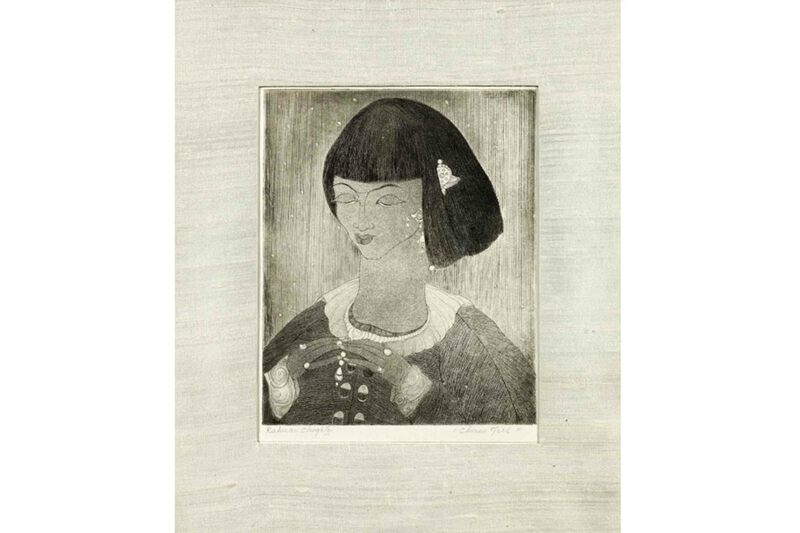 Flaunting his linear command, Chughtai created his series of prints after his second visit to Europe. That diary with art images my brother had, now I recall, was a homage to his etching venture. The work in his initial exhibition of 1919 at Punjab Fine Arts Society went into the possession of people like Nawab of Bahwalpur that, according to him, served as a great source of encouragement. Not only careful compositions but sensitive linear quality and diluted colours have played a vital role in helping him achieve a distinct style for which he is known today. Madam Talbot while inquiring about his use of colour says that he has used colours in a cultural context too as his palette rendition in Hindu content is different than that of the Muslim. Prior to independence Chughtai painted a great number of paintings with Hindu subject matter and was already the talk of the town. Those works had been published in Hindu and Bangoli magazines. After independence he won the title of ‘ Mussawir e Mashriq’ (National painter) and later ‘Hilal e Imtiaz’ for his contributions. His artistic career spanned over 60 years in which, apart from making iconic works, he did a lot of commercial designing from coins, book covers, historical logos of Pakistani television and even Pakistan’s first ever daak ticket. Chughati is known for his peculiar characters he invented with a mix of miniature traditions and modern trends. Elegance combined with sensuousness, his characters belong to a clan who is neither fictional nor real. His major works include, Muraqa I Chughtai, Naqsh I Chughtai, Chughtai Paintings and Aml I Chughtai. By inventing a completely different style, he extends the idea of Islamic art practice, giving it a whole new dimension. With this dynamic dimension he celebrates Islamic cultural traditions on a non-Islamic land which is a revolutionary act. 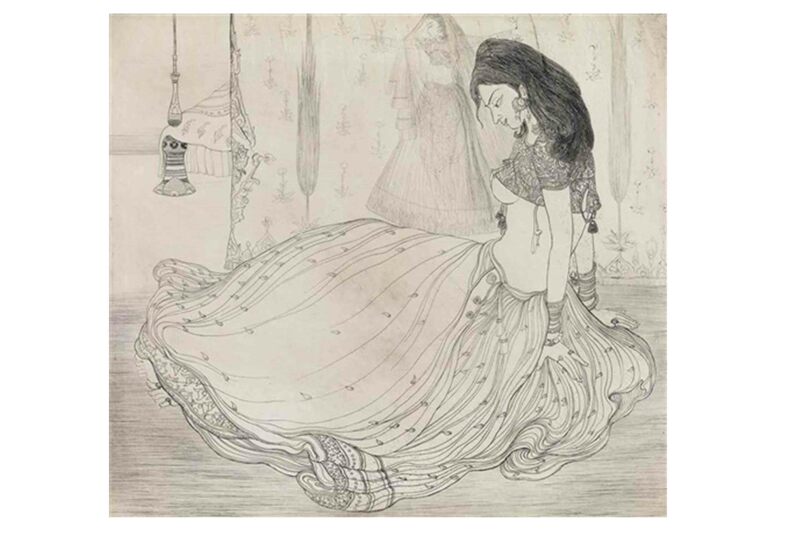 By putting aside the practice of depicting conventional content of royalties in an old style, Chughtai strikes a balance between tradition and modernity and fused the local customs into a style that made his signature. Instead of focusing only on dignitaries, every day common man became a subject in his art as well. Be it a beggar or a king, a princess or women spinning a wheel all appear to be the residents of a different world, he created through his style of working. Chughtai no doubt created a significant history however, sadly though, as his brother states his art was not carried by the generations to come but only leaving a mark in time.